What do outsiders of the United States typically think about when it comes to major places? That’s right – cities like Los Angeles and New York City come to mind. New York City might be the most densely populated metropolis in America, but it’s far from the only big city in our country that offers incredible worldwide cuisine, top-quality entertainment and just about anything you could imagine doing. With respect to New York City pride, if you want to live the big city life without the New York City rent prices, then the team at 422SOUTHLAKE has a housing solution just for you! So, in an epic battle between these two iconic American cities, who would win? It’s hard to say, of course, because taste is subjective, and what one person looks for in a city may be vastly different from another person’s criteria. In any case, we just wanted to discuss some of the pros about living in Los Angeles. With the help of 422SOUTHLAKE, your search for luxury apartments is over! 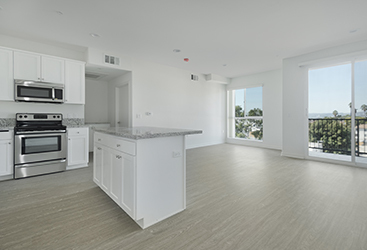 Our brand new luxury apartment buildings will instill a sense of pride in where you live here in Los Angeles, and the best part of all is that these are affordable luxury apartments. 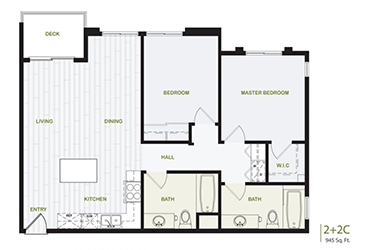 View our floor plans or get in touch with our luxury property management company to take your next step to living at 422 South Lake! It’s an obvious first point to make, but an important one. If you can’t handle extreme cold or lots of snowfall, then New York City probably isn’t your cup of tea. On the other hand, if you couldn’t possibly get tired of perfect 75 degree days, then the Southern California weather is ideal for you. If you really enjoy the warm temperatures but you still crave to experience the changing of the seasons, a quick day-trip drive will get you plenty of fall foliage. Plus, you just can’t get a view of snow-capped mountains when you’re at the beach in New York City. It’s just not the same. If you want to frolic around in said snow-capped mountains, drive only a couple of hours and you’re pretty much there. Los Angeles is practically the ultimate place for preferred weather. Maybe it’s all of the yoga studios or the juice cleanses, but one thing is for sure – the majority of LA residents stay fit. It might be narcissism for some people, but for most, it’s just a matter of feeling healthy and good about their lives. This is a great area to get in shape and stay in shape. 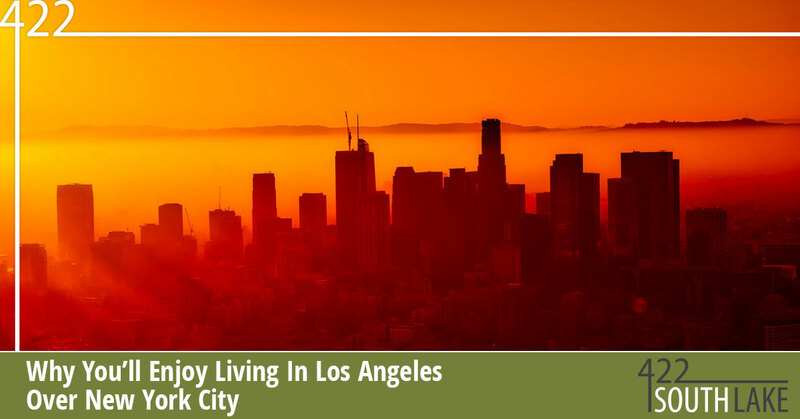 Now, Los Angeles isn’t exactly a cheap place to live, but compared to New York City, the value is much better. Do you really want to pay your entire month’s salary just to live in a Harry Potter-style closet room? Some of New York’s neighborhoods might be fantastic, full of vibrant life and history, but the value (or lack thereof) just isn’t worth it most of the time. 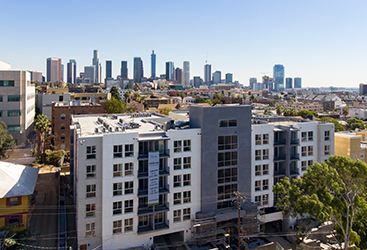 With our one bedroom, two bedroom and three bedroom apartments in Los Angeles, you can choose to split the cost with roommates or even afford to get a place that’s all your own. If you’re planning on moving to Lower Manhattan…just be prepared to share your room, that’s all we’re saying. Why does everything have to be so “proper” and formal in New York? While dressing all spiffy and going out for a fancy night of drinks is great fun, there’s also something to be said about dressing casually, and more importantly, comfortably. Think of Los Angeles as having that signature laid-back, level-headed Colorado attitude but with plenty more to see and do (the Rocky Mountains notwithstanding). At 422SOUTHLAKE, it is our firm belief that you should love where you live and live where you love. That’s why we’ve affordably priced our luxury apartments for rent in Los Angeles so that you can enjoy your new luxury apartment just as much as beautiful LA. Learn more about living at 422 South Lake by getting in touch with the luxury property management experts today!